Two persons, including a Kyiv city council member from the Svoboda Party, have been detained amid clashes outside the building of the Russian embassy in Kyiv, used as a polling station for Russian citizens on the day of the Russian State Duma election, according to Channel 112. Ukraine. Controversial Svoboda Party member, who was Member of Parliament, but now is member of Kyiv City Council, Ihor Miroshnychenko was reportedly seen among protesters who gathered for an anti-Russia rally near the embassy. "Protesters have come, they've brought an effigy with Vladimir Putin's head, as they claim. They have brought posters saying "Death to Russia!" They have introduced themselves as citizens of the Russian Federation. They claim they would not vote, and this is their moral position," a channel reporter said. "Two persons have been detained after clashes. One of them is a member of Kyiv City Council, he was sent to a police station. The other was informed he had been detained for hooliganism. 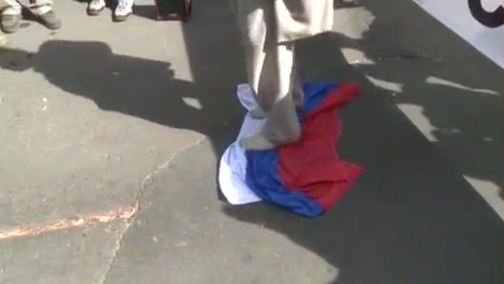 Now we see how some of the protesters are stepping on the Russian flag," the reporter described the developments. Nearly 30 Russian citizens have managed to cast their votes at the Russian embassy in Kyiv. About 300-400 law enforcement officers have cordoned off the embassy's building to let Russian voters get to the polling station. Read alsoRussian embassy in Kyiv attacked with firecrackers overnightClashes between protesters and police were reported on Sunday morning. The protesters attempted to block access to the building, preventing Russian citizens from voting. 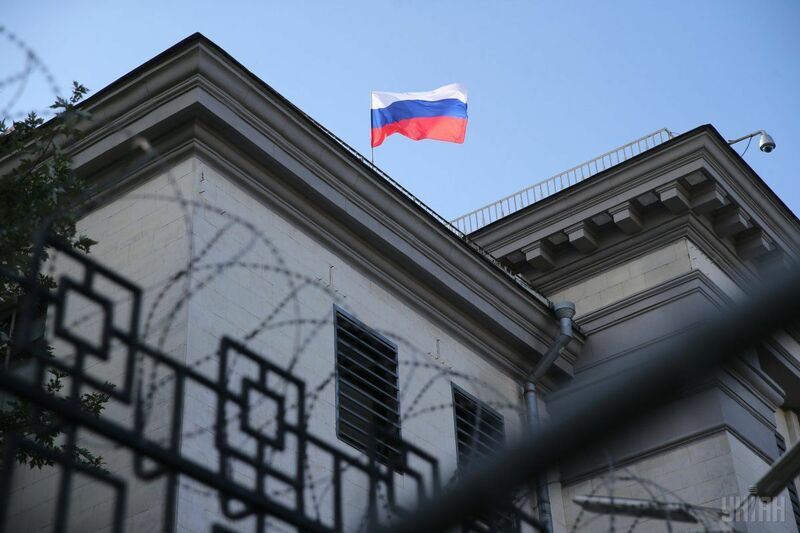 They also tried to take down the fence of the Russian embassy. What was more, a man was reported to have been beaten near the embassy. Meanwhile, the Svoboda Party's press service said that police had detained its Kyiv council member Volodymyr Nazarenko.